E.g-1. My little brother acts weird sometimes. 2. Her boyfriend’s a bit weird but she’s nice. 3. I heard some weird noises coming from outside. 4. Weird tales of animal smugglers caught by U.S.
5. An incident at the Weird House this week suggests this might be the case. 6. 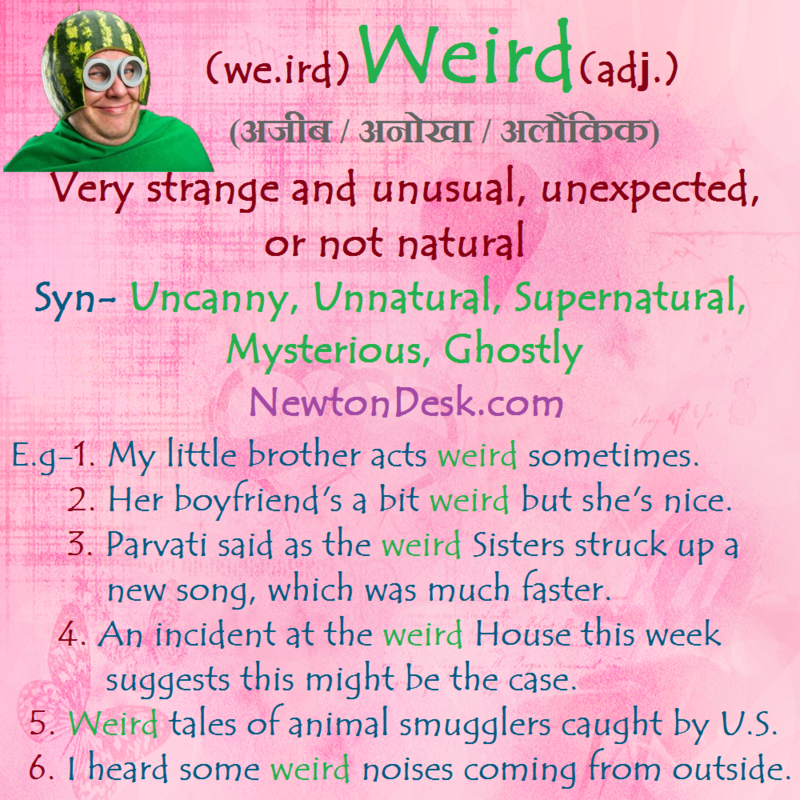 Parvati said as the Weird Sisters struck up a new song, which was much faster.